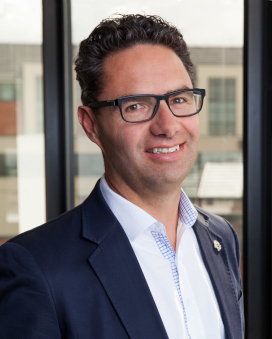 Nick studied law at Canterbury University and was admitted to the bar in 1992. He leads our commercial law team, advising clients on all aspects of their business from start-up or acquisition, raising money, contracting through the growth and development stage to eventual succession through sale or transfer. He has a particular interest in technology and helping companies manage change in their business and industries. His career has taken him to Hawkes Bay, Wellington, Sydney and London before he settled in Auckland in 2007. Nick was a partner at Minter Ellison Rudd Watts for 7 years before founding his own firm in 2010. The “MCE” is a Master of Commercialisation and Entrepreneurship (completed in 2015). In his spare time Nick lectures commercial law for the MCE programme at the University of Auckland Business School. Nick is married to Rachel and is Dad to broadcaster-to-be Reilly and basketball-mad Cormac. He is available for trivia quiz nights (special topic: useless information) and for selection in any social sports team (anything that involves a stick and ball – cricket, hockey or golf).